I sometimes see quilts with rounded corners come across my appraisal table. The gently curved bound corner is as tricky to sew as a mitered corner. I tried curved corners on my ‘We Support You’ quilt which you can read about here. The curve is easy to accomplish with the aid of a binding cut on the bias. 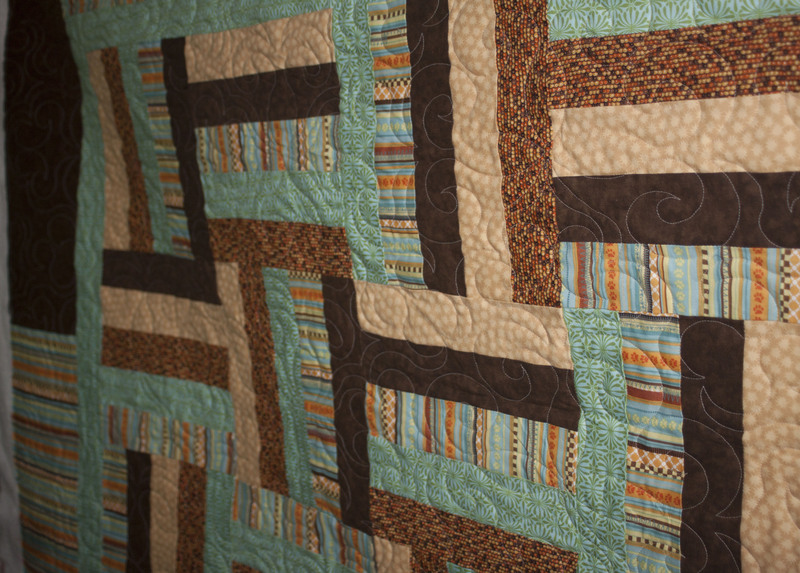 The bias tape should lay flat with no puckers and the corner shouldn’t pull the corner of the quilt toward the front or back. 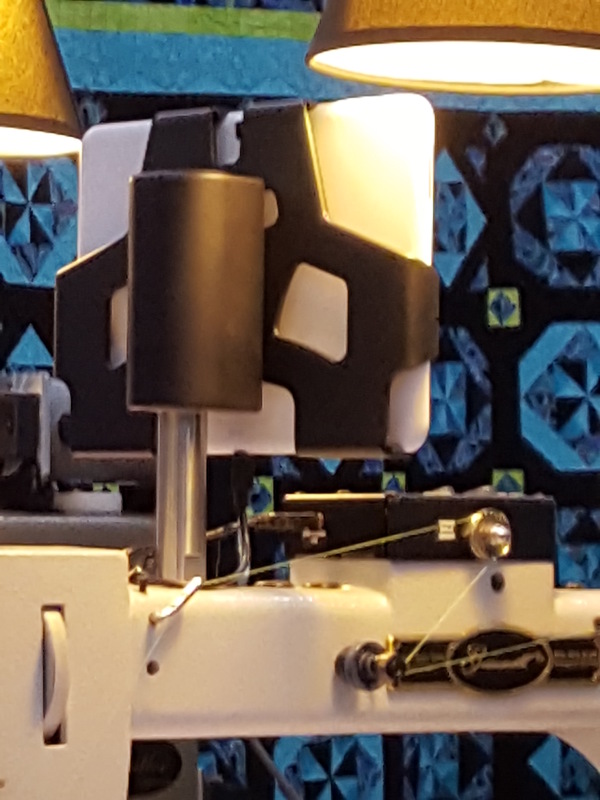 I also would recommend curving your corners if you want to use the binding attachment on your sewing machine. 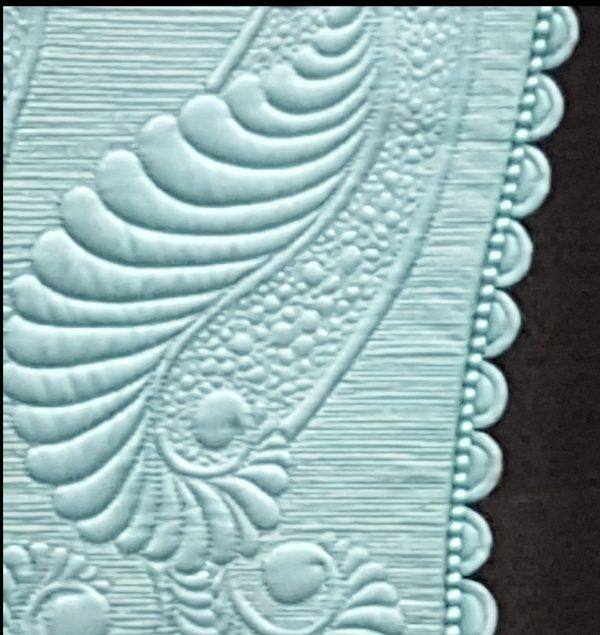 According to Barbara Brackman there are not many quilts made prior to the 20th century with bias binding, yet there are many examples of curved corners. 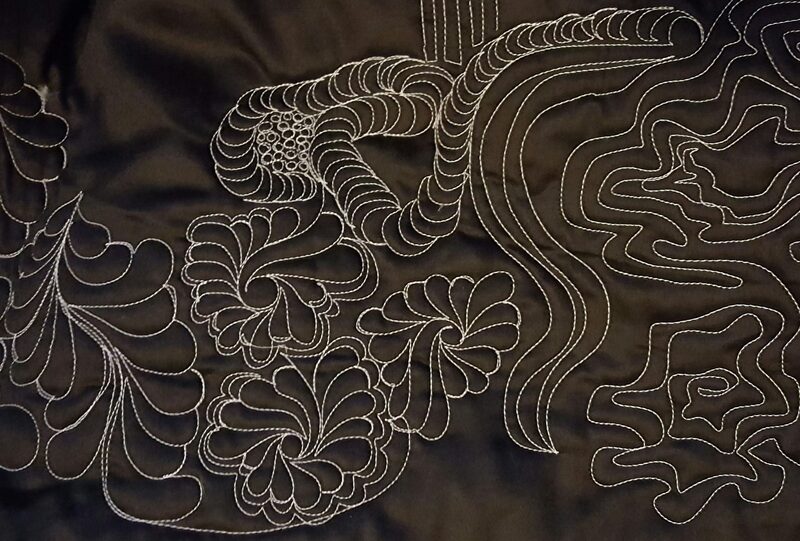 I wondered if the number of curved corners in the 20th century increased as a result of the use of bias binding, so I went to the Quilt Index to find out. The Quilt Index has a huge database of many quilts from all time periods. We can thank the many volunteers who have collected pictures and information through state documentation projects, museums, and collections. In addition the many organizations who have funded this massive project. It is a wonderful resource for both information and inspiration; and a great place to browse through on a lazy summer afternoon! 19th century quilts from online auctions with rounded corners. I started my quest by doing a search on ’rounded corners’. The results came back with close to 900 quilts! Since I wanted to compare the trends between 10 year periods of time, I removed those quilts with no dates, no images, and duplicates from the search results. I also deleted from the search the quilts with shaped edges, i.e. scalloped, jagged, zig-zags, notched; and the quilts which were not shaped like a rectangle or square, i.e. octagons and circles. Removing those quilts from my search results brought the number of quilts with rounded corners down to approximately 500. I was very surprised by the small proportion of quilts in the index which have rounded corners. I guess I’m in the minority who think that rounded corners are easier to sew!!! Next, I compared the percentage of quilts with rounded corners across the decades to the total number of quilts from those decades. I expected the percentage of quilts with rounded corners to increase in the 20th century because using bias binding became more common. I know that I’ve seen more quilts from the 1930’s with rounded corners, but I think that is because I’ve seen more quilts from that period of time. In the chart above, notice how the number of quilts entered into the Quilt Index varies a great deal by decade. You can see the peaks of the 1880/90, 1920/30, and the 1970/80 quilt revivals. According to the chart above, the percentage of quilts with rounded corners entered into the Quilt Index has not changed over time. We may think that rounded corners increase in the twentieth century simply because we see more quilts from that period of time. I did find that there were more scalloped, zig zag, and jagged quilts from the 20th century. 20th century quilts from online auctions with rounded corners. I’ve run across certain blogs that say that rounded corners in an antique quilt are an indication that the quilt is from the southern United States. I did a ‘quick and dirty’ look through the Quilt Index and found that there did not appear to be a relationship between rounded corners and region where the quilt was made. However, the search form does not allow a specific search for ‘location made’ and ’rounded corners’, so I searched through the entire index using ’rounded corners state’. 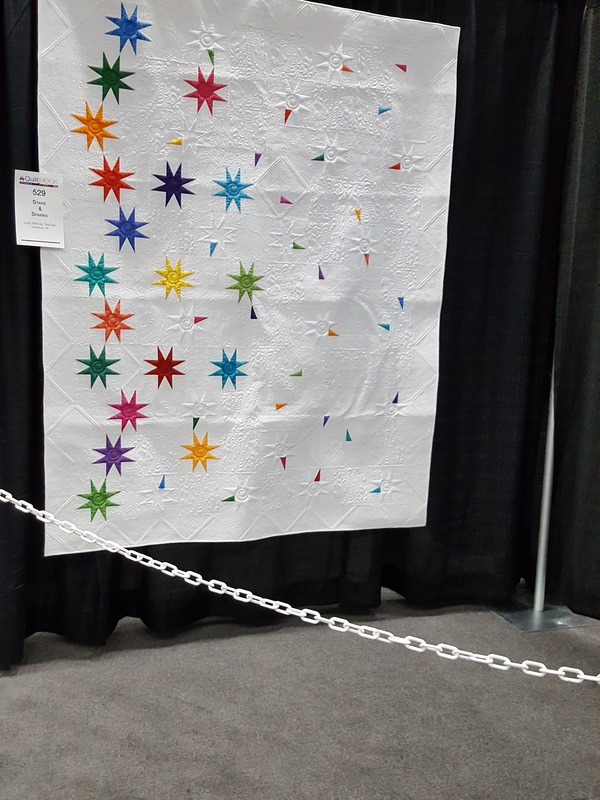 This method appeared to be working until I got to Michigan…a great number of quilts have ‘Michigan’ in their records because that is where the Quilt Index is housed–University of Michigan. My curiosity was frustrated! I would be interested to know if anyone has further insight and evidence into regional differences and rounded corners. In the meantime, I’m thinking up future searches of the Quilt Index and many more hours looking at beautiful quilts. Have fun on your quilting adventure!